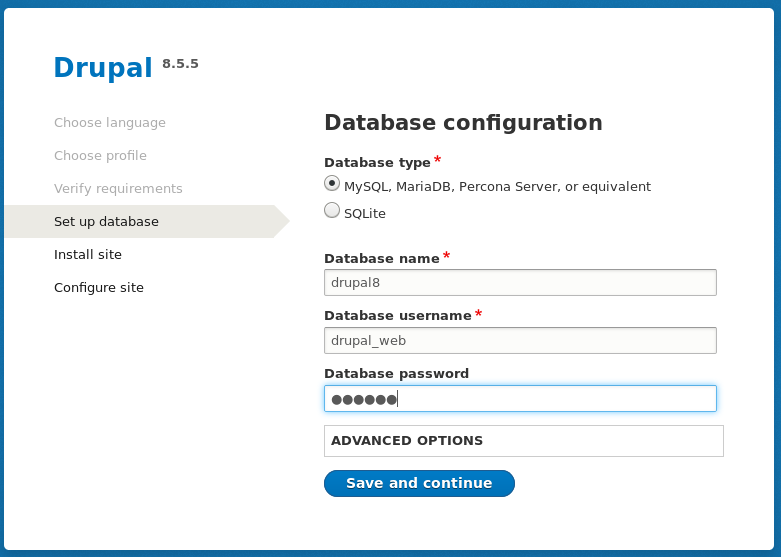 First I install MySQL 8.0.11 and unpack Drupal 8.5.5 in the apache’s datadir. 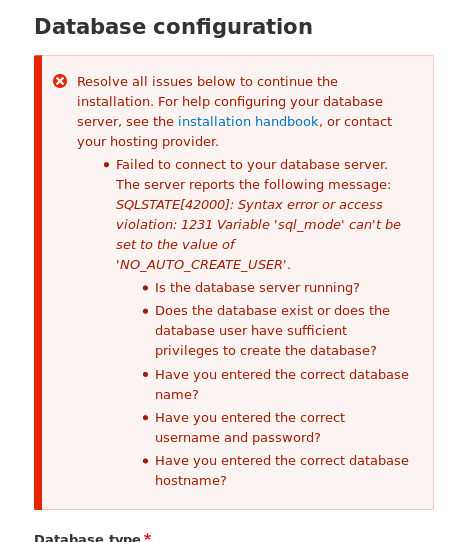 Don’t forget to install php-mysqlnd. 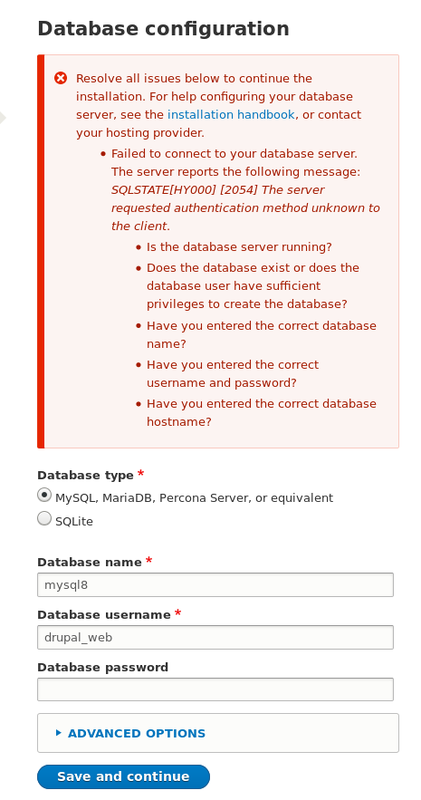 As you can see, I’m using the new ROLES feature added in MySQL 8. Before we move forward and try on Drupal 8.6, let me show you how to configure MySQL to also work on Drupal 8.5. 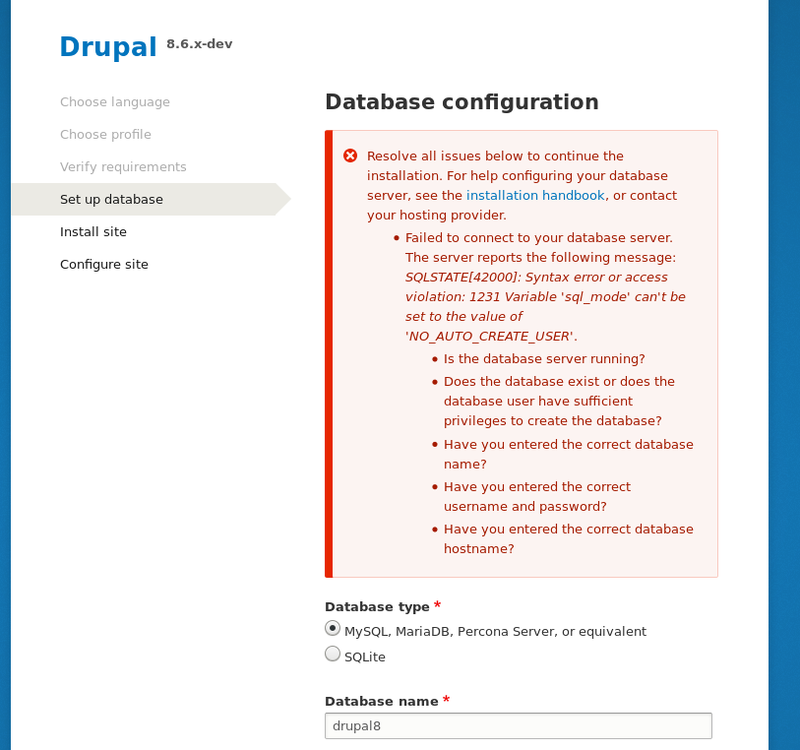 And reload the Drupal page…. 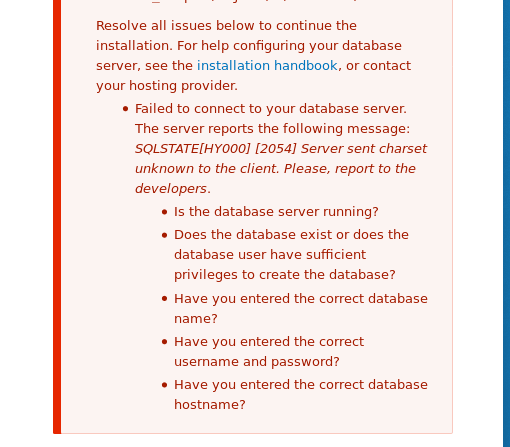 Also as the PDO Documentation states it (here), the version before 7.1.16 will return errors even with mysql_native_password authentication method, so I update PHP to 7.1.18. The only PHP connector for MySQL supporting it is mysql_xdevapi. So please check this issue for updates. Currently few tasks are remaining. Not everything is already net and smooth but some progress have been made. 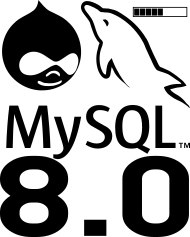 To have a full support of MySQL 8.0 out of the box, we need to wait for Drupal 5.6 and a version of mysqlnd supporting the new authentication method used in MySQL 8.0 by default. Since then, some minor changes are required. If you need help with your community tool or product to support MySQL 8.0, please don’t hesitate to reach me out, it will be a pleasure to help.